Balayage and Ombre hair are two buzzed about hair colour techniques in the industry! But what exactly is the difference between them? With summer here, our clients are wanting to add multi-dimensional colour to their hair, but aren’t always sure what Balayage and Ombre are, what the difference between them is and which one is best suited to them. We can help clear up any confusion on this season’s must have hair trends, just in time for your holiday hair! Balayage means to ‘sweep’ in French! This colour technique involves sweeping, or rather painting, the colour onto the hair. It is a free hand highlighting technique, opposed to the traditional strategically placed foil highlights. This popular hair trend provides you with a blended and natural-looking hair colour, where the natural highlights are a few shades lighter than your actual hair tone. The bottom of your hair is left darker than your roots to provide dimension and movement to your tresses. This is a low maintenance look, that effortlessly grows out as the hair isn’t saturated from root to tip. Do you dream of soft, glossy and golden sun-kissed locks? 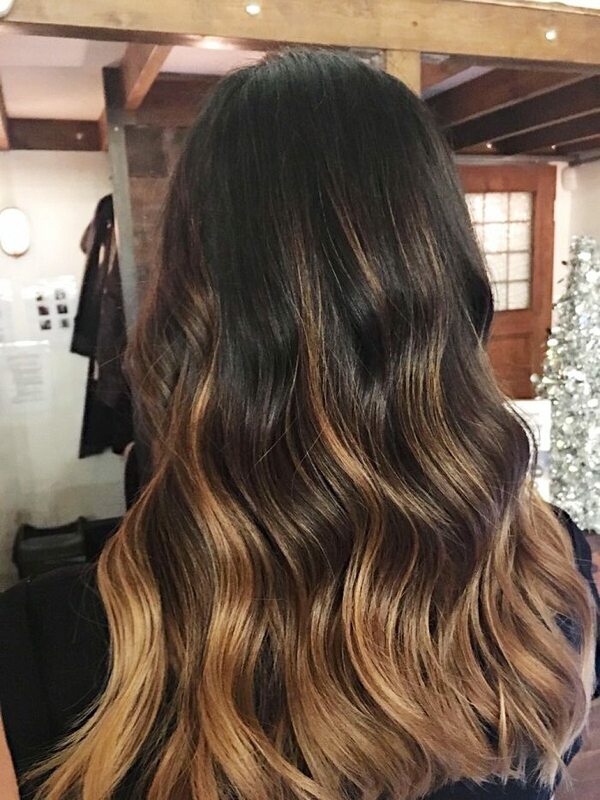 Balayage is the hair technique that provides you with this effortless and natural looking hair colour. 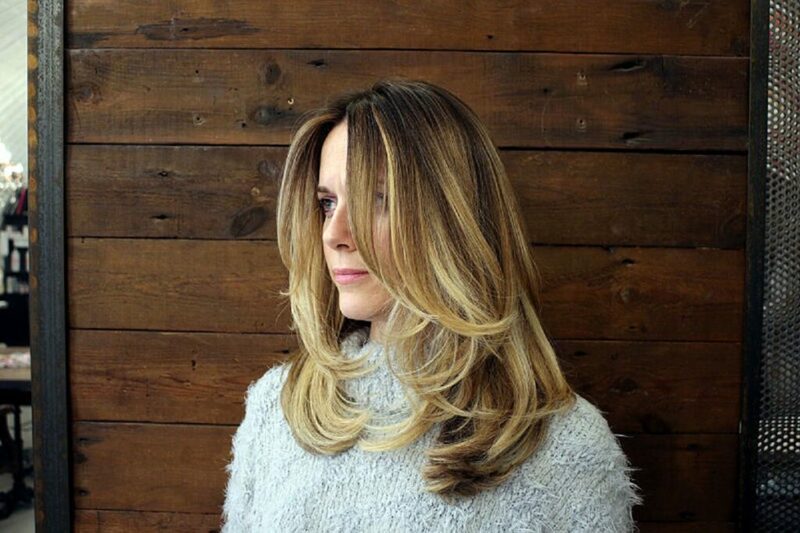 Read up on our blog post on why we love Balayage (here). You don’t have to stick to the traditional blonder tones when having your balayage hair service, why not try vivid hair colour technique? The bolder the brighter, so try a red or copper balayage. A creamy pastel pink or soft lilac is a great way to experiment with your hair colour. Book an appointment NOW with a stylist and get this technique! Ombre means ‘shadow’ in French. It involves a bold transition of hair colour from root to tip. Although the colour is drastically different from root to tip, it is a gradual transition from the one shade to the other. With Ombre, your roots are naturally the darker colour with the transition to lighter locks on your roots. It is essential that your stylist get your Ombre correct so that it transitions in shades and doesn’t have any distinct lines from one colour to the next. As with balayage, you don’t have to stick to traditional colours for your Ombre look! Read up on rainbow, unicorn and mermaid hair to learn about the latest hair colour trends. Book an appointment with a stylist and get your striking Ombre. Both hair techniques involve the transitioning of hair colour. Balayage provides you with a natural softer highlighted look, whereas Ombre provides you with a sharper less natural look! 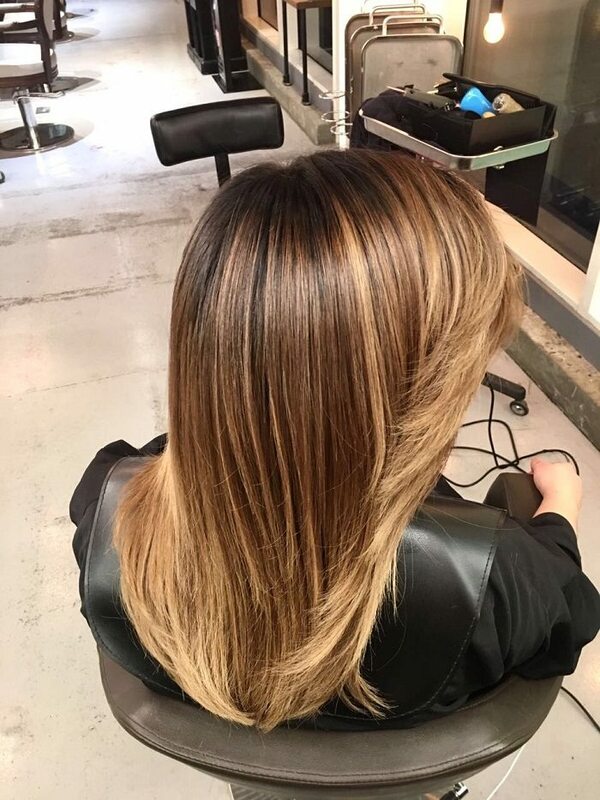 With Balayage the transition of colour is softer and requires less maintenance, whereas as Ombre is more noticeable and involves more upkeep as the colour grows out. With both techniques, you can experiment with different hair colours! From blonde to candy cotton pink, both techniques will provide you with that summer look you have been lusting over! Remember to have Olaplex added to your Balayage and Ombre hair services. As bleach is involved in both services, we suggest having the ‘miracle potion’ added to your colour service to protect your hair from any damage and to ensure lasting hair colour! Pop into a Live True London Hair Salon and have a consultation with one of our talented stylist to decide which technique would suit you best.